We all want a website that looks great and functions well. Today, even the most inexperienced of users can attain just that using website templates. Website templates enable you to create and customize a website using the work of professional designer at little to no cost. You can get the website you’ve always dreamed of without ever having to learn a word of code. What Are Website Templates All About? Website templates are used by virtually all website builder and content management system (CMS) platforms. They are ready-made websites that can be used as-is or customized. Some templates are designed for certain types of sites (such as a magazine/journal versus an online store) and others simply put special emphasis on specific design specifications. Website templates designed to help you set up a site with minimal or no coding experience. 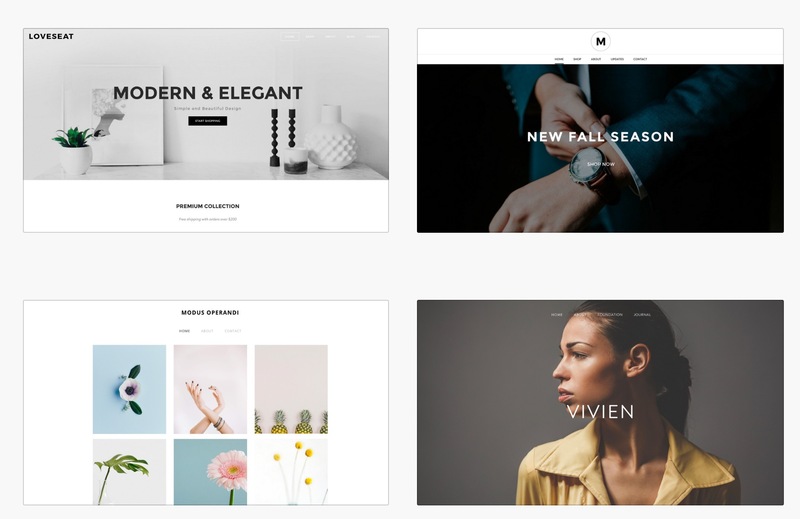 WordPress website templates, also called themes, are often developed with popular web design trends in mind, allowing you to create a modern and aesthetically pleasing site with ease. In fact, this is one of the reasons behind WordPress’s popularity. Visit any given WordPress site (and with over 50% of websites today being built with WordPress, there’s plenty to choose from) and chances are very likely that one, if not most of these sites, was cobbled out of a template. Not everyone knows how to code but almost everyone wants to be able to build a website. This is why templates are such a big thing. 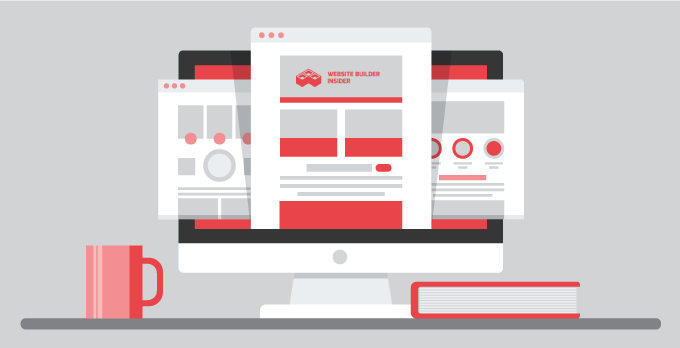 What Goes Into Creating a Website Template? Research – One of the most basic parts of creating a new template is conducting research into interface patterns and website trends. There is a reason why websites look the way they do, and the average cost of the research stage is around $400. Prototyping – The final design of a website is actually determined early in the process. Once research is completed, template designers create a prototype to assess how effective their layout will be. This can cost upwards of $600. Design – Before even a single line of code is written, a design is chosen for a template. This, too, requires a deep knowledge of trends and how a website will stand up to the passage of time. Designing a site costs $1,000. Front-End Coding – When coding finally begins, the focus is on the front-end. Developers create templates that follow the form of the original research, prototyping, and design. This phase costs $1,000. Back-End Coding – Once a front-end is established, developers transform the static HTML code into a fully functioning website. This is where the prototype becomes most important, as it is used as a schematic to indicate a site’s function. Back-end development costs and additional $600. Quality Assurance – Once a template is completed it must be tested by QA engineers to ensure that it functions as the original researchers intended. This final step costs around $400 but is worth every penny if it means that customers will remain satisfied with their theme for the duration of their use. Altogether a website template costs around $4,000 from start to finish. This does not include the customer support that most developers provide and unexpected costs that may pop up. Most themes barely recoup their costs and popular templates are the holy grail among developers. Next time you second guess the price of a template, just remember how much of a reduction it is of the actual cost. At this point, you may be wondering how to choose a website platform that works best for you. Depending on the service you choose, your options for how to use a template will vary drastically. For instance, WordPress website templates can be selected from either the WordPress site or uploaded through a third-party provider. If you choose to use a template from a third-party developer there are some extra steps you will need to follow, which we’ll cover later. Templates can be changed at any time, so you have nothing to worry about if you decide that what you pick now isn’t working for you at a later date. Wix, on the other hand, does not have an option to switch templates later. This is something you will want to keep in mind when choosing your website hosting/building service. 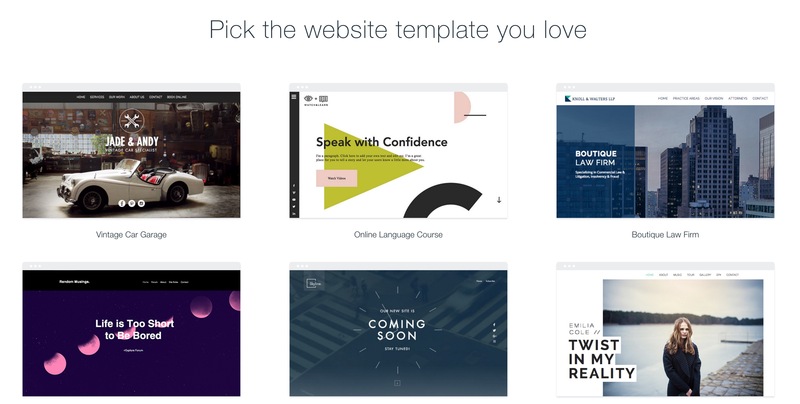 With Wix, you’ll only get one template per website. If you’d like to use a different template you’ll have to make a whole new website. You will also be limited to using proprietary Wix templates. There’s no uploading from a third-party site at this time. Other platforms, such as Joomla, usually offer users the ability to choose templates from third-party sites or from their own service. Be sure you do plenty of research before you dive in and choose a website building site. The best part of building your own website is, of course, choosing a template that works best for the type of site you would like to build. First, you’ll need to decide what the purpose of your site is. Are you a business? A journalist? A freelance designer? Consider what you want your website to do for you. This will affect the look of your website and the kinds of features you’ll want in the template you select. Take a look at your competitor’s or colleague’s websites. How are they designed and structured? You may be able to get a few design ideas through taking a look at similar websites and comparing how they match up to what kind of vision you have for your own. You’ll then want to consider whether you’re willing to pay for your website template or whether you would prefer to look into free website templates. Free isn’t always a bad thing when it comes to websites though you will want to be sure you’re testing out as many templates as possible to make sure that they fit your needs. 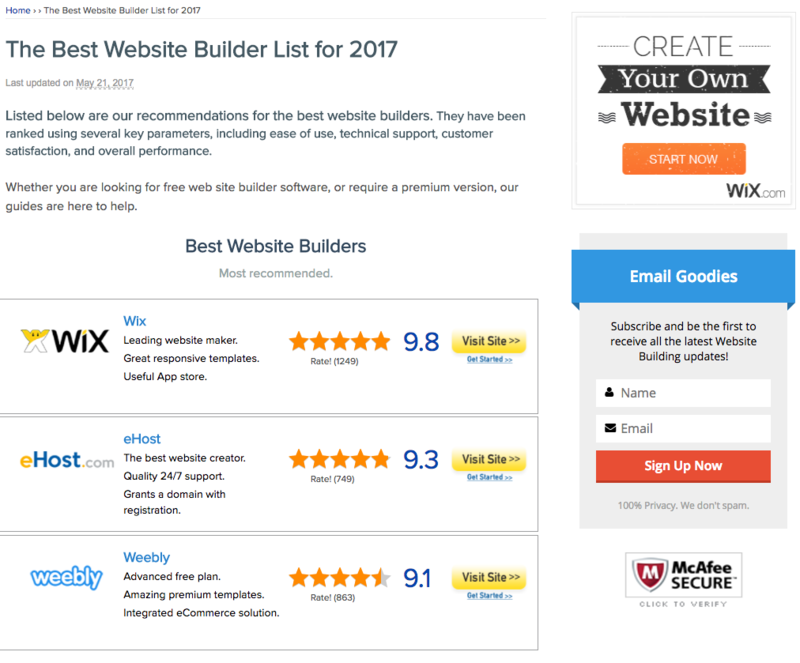 When you use a website builder like Wix, you certainly want to take your time choosing a template. Remember that Wix won’t allow you to change your template later so it’s absolutely vital to make sure that you find the best template possible before you dive deep into designing your site. Choosing a template on the WordPress platform is as easy as clicking on the one you want. What if you’d like to choose a third-party template? This will depend on whether you’re using WordPress.com or WordPress.org. If you’re using WordPress.com, you won’t be able to use third-party templates. The same principle applies to using extensions. 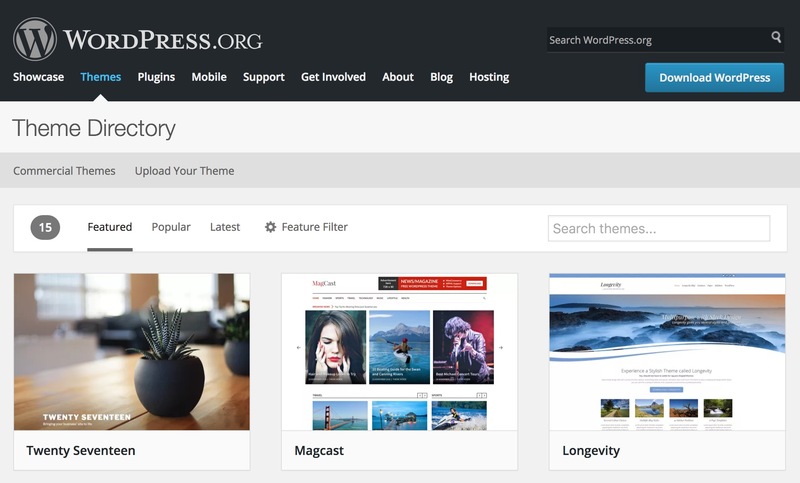 WordPress.org, however, will allow you to install and customize as you please. When you find a template you like from an alternate provider, simply download it to your computer. Then, while viewing your WordPress site through the appearance tab, you can simply choose your template design file that you downloaded and upload it directly onto the site. Why would you want to select a third-party theme in the first place? You may be having trouble finding a template you like on the WordPress site. This is not an uncommon problem, especially if you have a very specific vision for how you would like your site to appear. Some of the basic WordPress templates are not always extension friendly or able to be customized with ease. It’s always a good idea to check out third-party templates, at least to get a feel for potential options while choosing the best option for your own site. Should you always choose free website templates or are there times when you should consider paying for one? The choice is up to you but there are a few things you will want to consider. Are you in love with a particular look or feel for your website? In this case, it may be a wise decision to pay for a specific template if it meshes well with your initial vision for how you would like your site to look. You may also want to consider the fact that you will usually have the ability to customize your site as desired. This posits a strong case for finding website templates that are free. There are plenty of free templates out there (especially if you seek third-party ones) and it may be possible to find something that works for you without paying a dime. Again, you will want to consider your needs. Do plenty of research and, if possible, test out or preview multiple templates to see which ones mesh the best with your website’s purpose and your goals for what you would like your website to look like and do. There’s no right or wrong answer when it comes to what template to use. It’s all about how you envision your website and what you want it to be able to do for you. Take your time and be open to trying out new templates as needed. The key to making a website template work for you is seeing how well it matches up with your website’s needs. In recent years, the number of different devices used to access the internet has grown. From desktops to tablets to smartphones and everything in between, there is no conformity in device size or usage. This doesn’t mean that your site can’t cater to all users, however. The concept of adaptive design is very straightforward. When implemented, the layout of your website will conform to any screen size on any device. This is achieved through different means, the primary of which are responsive sites and mobile sites. Responsive sites adapt to changes in screen size automatically. This means that the same site is served to all users and it conforms to the space in which it is displayed. WebsiteBuilderInsider is built on a responsive platform, and you can see for yourself how the elements adapt when you expand and contract the size of your browser. 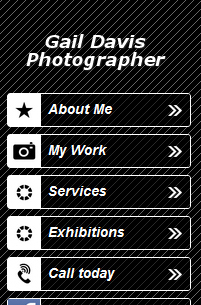 Mobile website design gives visitors basic information. Mobile sites are versions of your web page that automatically get called up when a mobile user is detected. These sites may have a simpler layout and a more limited functionality from their desktop equivalents, so it is important to choose the most important elements for mobile users. These can include store directions, phone numbers, and general information. Most websites conform to a standard layout that users have gotten used to and have come to expect. It is rare to find a website that doesn’t follow this basic design and more users are best served by sticking to it. A website header is a bar that runs across the top of your website and generally contains the main tools you will need to navigate from page to page, including a search bar, links to main pages, a blog, and even contact information. If you have a logo, it is usually featured on the header and typically serves a double purpose as a home button which users can click to return to the homepage of your website. The body is the part of the website that changes from page to page. It takes up the most space and displays all of the content contained on each page. This can range from image galleries to blogs and anything in between. When you add pages to your website, you will only be changing the body. Similar to a header, a website footer is a bar that runs across the bottom of a page. Footers contain information like copyright notices, contact information, newsletter signups, and anything else important enough to be on every page, yet not important enough to be prominently displayed within the header. A website template will enable you to customize these three basic elements with ease. The right website template can make your website’s content shine, create a great user experience, and make you look like a real professional. So what are you waiting for? Give it a try today. We’ve even compiled lists of the top website templates for all formats, including Weebly, Drupal, Joomla, and Magento.